And a very nice Trimaster kit built by Allan Mayer. 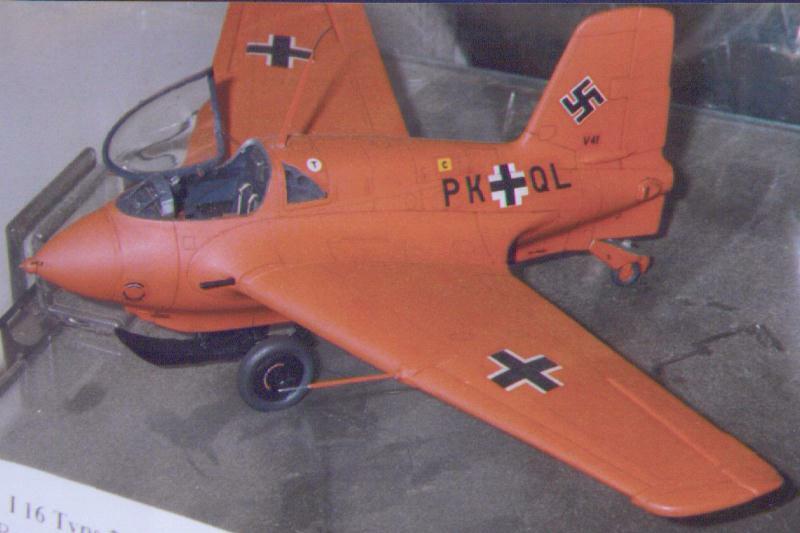 Allan's model is the famous all-red 310050/V-41/PK+QL flown by Wolfgang Späte on the first operational mission on 13 May 1944. Contrary to most other modelers, Allan used a semi-gloss paint which appears much more realistic than full-gloss paint. The cockpit looks like you could strap in yourself! Note that this aircraft still had 20 mm MG 151/20 machine guns instead of the later MK 108 cannons. The barrels of the MG 151/20 protrude through the leading edge, that of the MK 108 don't.